When it comes to reaching teenagers, you have to speak their language. And these days that also means communicating on the platforms they use. An email is likely to gather virtual dust, while a text message on the other hand will probably get read. A text can be incredibly powerful, too. 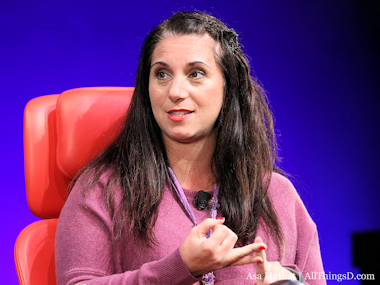 Nancy Lublin heads DoSomething.org, a non-profit group that has used text messages to educate on everything from financial planning to pregnancy. On the latter front, the group had a text message program that sent teens a text message every time their “child” was crying — starting at 6:30 am. “If you can’t take care of a pretend baby on your phone, you might want to keep your zipper closed,” Lublin said during her appearance at D: Dive Into Mobile. After being inspired by a teen who texted in that she was being abused by her father, DoSomething is in the process of launching a crisis hotline over text messaging. While much of her work has been on the educational front, marketers could learn a thing or two from how Lublin and her team have been able to reach the youth market. Here’s the complete video of her interview with AllThingsD’s Ina Fried.